Industries Served: Commercial/Industrial | Temco Tool Inc. Your secret is safe with us. 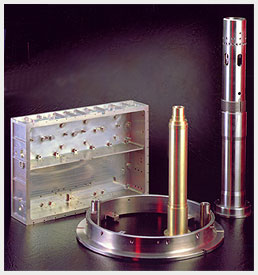 Temco Tool operates in strict company confidential, working closely with you in developing new parts and components quick-to-market or requirements to enhancement for your product to perform superior. Our non-disclosure agreement means that your newly developed technology will not be introduced to the public until you introduce it. Our attention to detail and experience with precision, guarantees you a part or component that will last the life of your product intent. Let our experienced management staff assist you in designing the right part for your application.